‘What I see is a triangle of forces acting together for their own ends, and not the ends of our people,’ he says. The Western Cape’s murder rate remains largely unchanged despite the Anti-Gang Unit being launched in November last year to curb the scourge of gang violence in the province, said community safety MEC Alan Winde on Wednesday. According to the provincial health department’s mortuary statistics, between November 1, 2017, and February 28, 2018, 1,298 people were murdered in the province. Between November 1, 2018, the day before the anti-gang unit was launched, and February 28, 2019, this figure stood at 1,226. “On average, ten people are still being murdered per day in the province. This is despite the launch of an Anti-Gang Unit which was heralded by the African National Congress as the saviour of our communities,” said Winde, adding that these statistics were borne out by reports that in February this year alone, 25 people were killed in Mitchells Plain. It was further reported that since the beginning of the year, 18 people have been murdered in Bonteheuwel. He pointed out that in rural areas, there had also been an increase in fatal shootings, from 30 to 42, while during the same time period, fatalities from sharp objects, increased from 197 to 207. “We’ve seen a growth in attacks in our rural areas, and on our farms. It’s clear that the police’s strategy, if they even have one, isn’t working. I’ll be raising these figures with national Minister Bheki Cele, and demanding an answer as to what they are doing to protect the residents of all our areas,” said Winde. 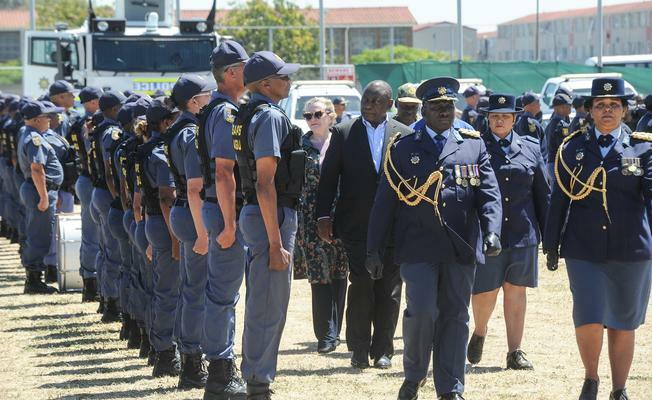 In February, following a call from Winde to bring in the army as a peacekeeping service to stabilise communities so that the police can investigate and take down criminals, Cele responded that the SAPS had the situation in hand and that “current interventions are yielding positive results”. Winde said: “These figures reveal the truth. As much as the minister tries to spin it, 10 murders a day is anything but a success. We’ve seen ANC mismanagement at Eskom, we’ve seen it at SAA. It won’t be long before the true state of our police service is exposed.